Going To University? Here Are Some Tips! I am super excited for all those going to university this year! I can assure you that when you partner with God on this journey – you will have the time of your life. God is interested in the journey and not just the end product. 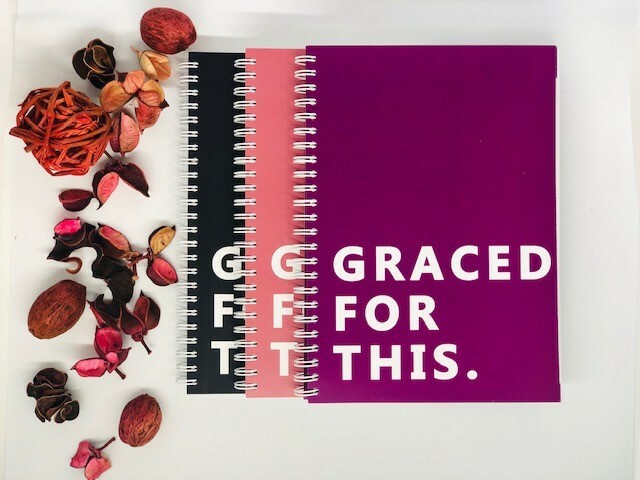 The journey is just as important as the destination as we’ve learned through the Joseph Challenge (go check it out!). 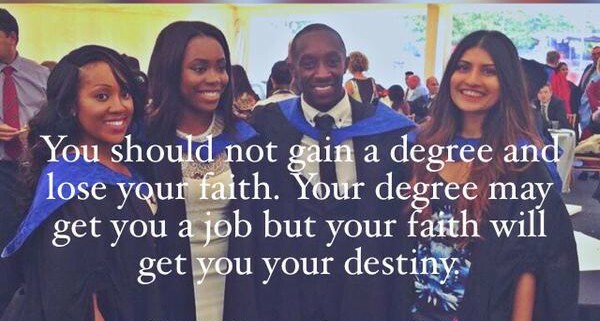 As you embark on this new chapter, in pursuit of that Bsc, BA, BEng, MA, Phd, PGCE etc. to follow your name, remember that all you do ought to be used for His glory. Your partnership with God means SERVING. It means you will represent Him in all that you do, say and wherever you go. You are the expression of God on earth. You are an ambassador for Him before anything else! 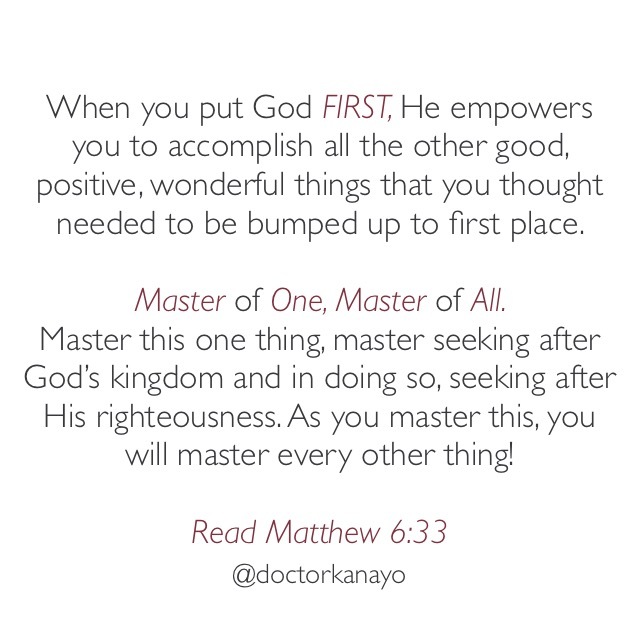 It means that you put Him first (Read my blog post: Master of One, Master of All, one of my faves!). Matthew 6:33, being our mandate. Enough of my written jabbering. I have two videos below encouraging those going to university with practical tips and spiritual MUSTS. (The first video is general and the second video is directed at ladies, but the gents can definitely learn from it). I pray that you are blessed by them and that the Lord Himself, will go before your academic year! And hey, I’m right there with you guys even though I’ve finished my first degree, I am now doing my postgrad at UCL…The journey continues! P.S. If you are going into your final year of your undergraduate degree, I would love to pray for/with you! The enemy always likes to bring out his silly tricks at the edge of breakthrough, so we must stay fortified in prayer, fellowship and The Word! Fill out the contact form below and I’ll either contact you (if time permits) or keep you in my prayers!